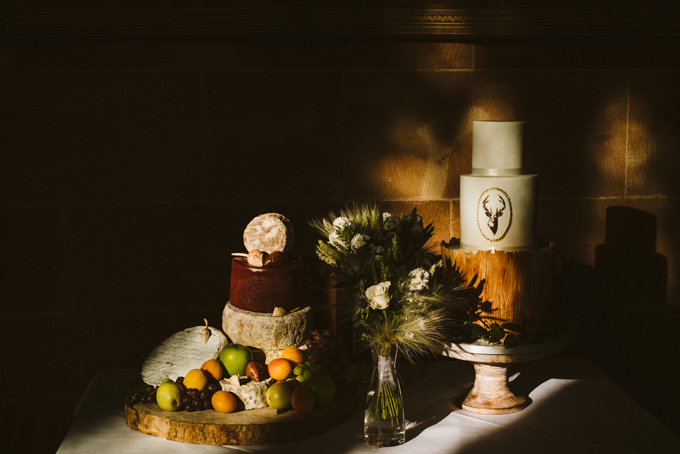 Let them eat cake… or maybe not, since when it comes to the traditional wedding cake more and more couples are choosing to opt for a quirky alternative. Maybe you don’t have a sweet tooth, you can’t agree on the type of cake or you just don’t want auntie Maud to make yet another of her ‘famous’ cakes. Here we consider nine alternatives to the traditional wedding cake. 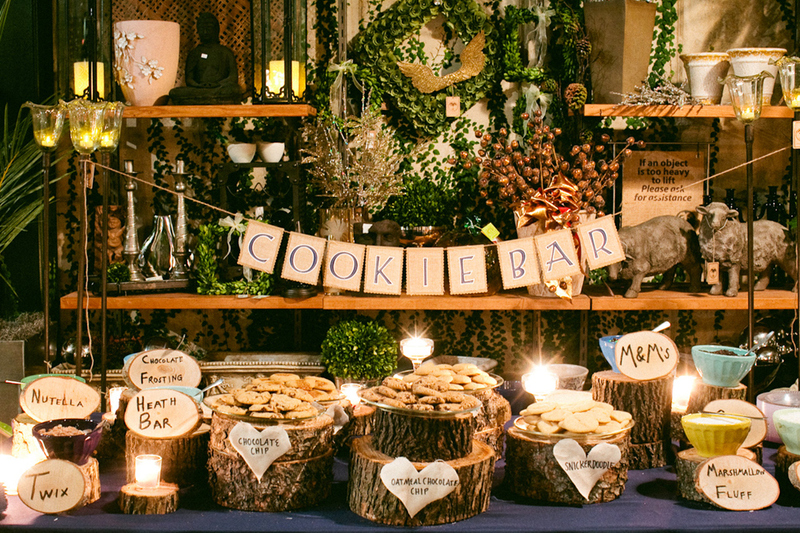 With the rustic/woodland trend still going strong we think a cookie bar such as this would fit perfectly into that theme. Choose good quality cookies such as those created by companies such as Squidges and then let the fun begin. Cookies made with chocolate chips, fruit, M&Ms, nuts, Nutella, oh the list is almost endless. Serve with milk shakes for the kids in the summer and warm chocolate dips and melting BBQ marshmallows for an alternative s’mores in the colder months… yum! We just love the A Jar of Cake idea which was developed by Maria Lawson. The idea is to place a selection of gorgeous little cakes in to jars to maintain freshness, flavour and to prevent any damage in transit. Don’t forget your guests will have eaten a huge feast throughout the day and may not be able to spare any room for anything else! The perfect thing about this option is that they get to take home the sweet treat and it will remain fresh for up to 2 weeks, they can even be put in the freezer. With a great choice of mouthwatering flavours you can create an elaborate dessert table or perhaps personalise each one with a ribbon and label to match your colour scheme so that they double up as favours. If you like nothing more than opening the lid of your Krispy Kreme box and gazing in wonder at the 12 perfectly decorated delights wondering which one to eat first then this one is definitely for you. It is also a great option if you are on a tight budget since it is really quite simple to do yourself. 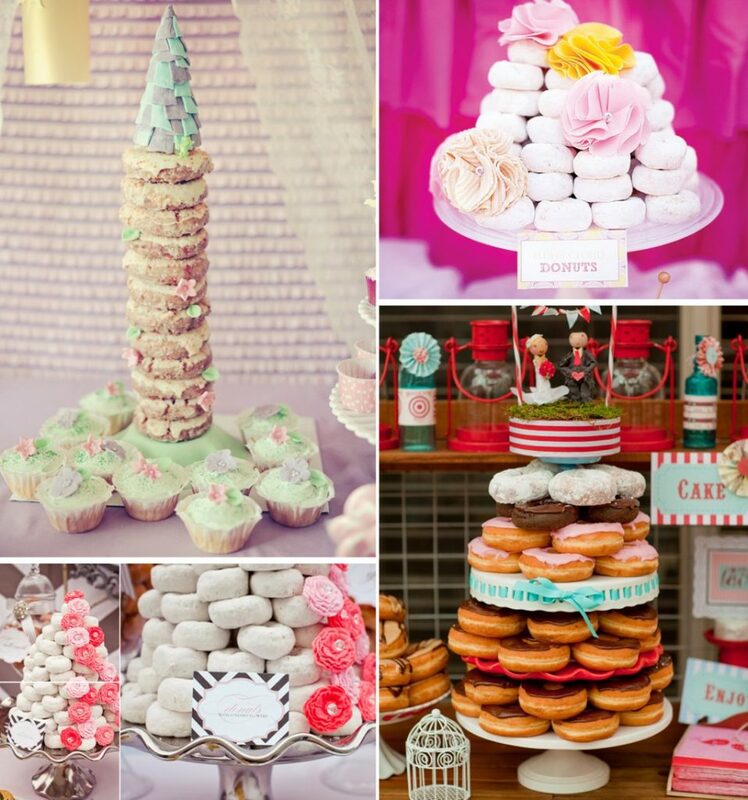 There are a number of different ways to make doughnuts the sweet treat of choice at your wedding. You can stack them, stick them to the side of a cone, use a cake stand, make small doughnut balls (similar size and shape to the cake pops above) or even hang them from the branches of a tree. The possibilities really are endless just try not to eat them all as you are putting your masterpiece together! No, we don’t mean the delicious light, fluffy sweet type cake, we really do mean a cake made from layers of cheese. This is the perfect option for a cheese connoisseur, it can be accompanied by a selection of red wines or perhaps even a port. Each layer can be a different type of cheese. Make an appointment with your supplier to talk through your preferences. Be sure to take advice on the weights, you don’t want a bottom layer of squashed brie! Decorate with bountiful grapes or top with two little mice cake toppers for an different centrepiece. So you do really like cake but the two of you cannot agree on the type of cake to have. You have such different taste when it comes to the look and style of the cake. 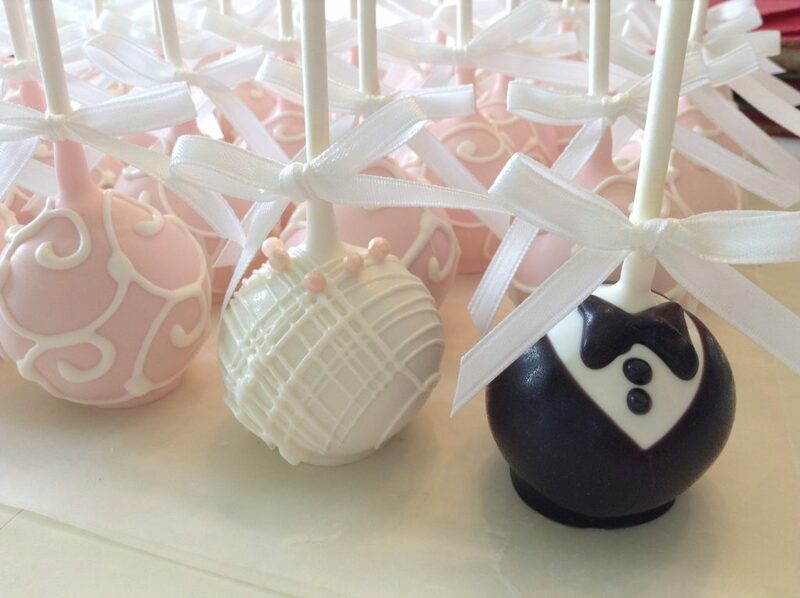 Then cake pops are an ideal alternative. Essentially they are little balls of cake on a stick. They look amazing and a perfectly easy toeat. You can opt for a range of flavours, styles and colours. You can create one fabulous display or place individual pops at each place setting. This is one for the true dessert lovers that cannot pick only one type of cake. Great news, you don’t have to. 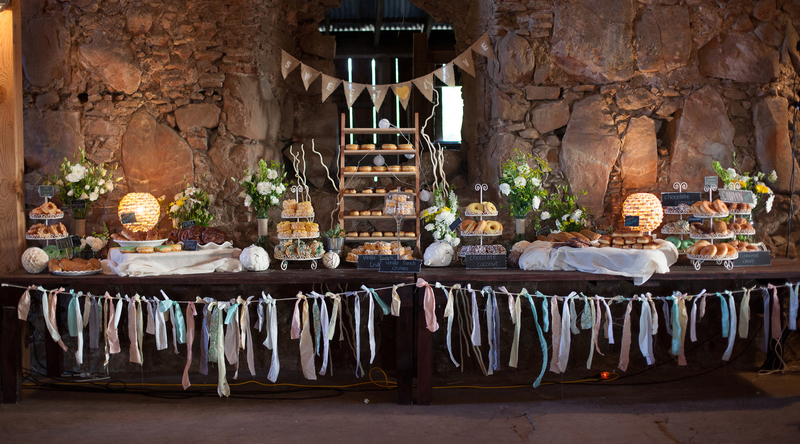 You can opt for a whole table of different cakes and don’t just stop at cakes how about cookies, pies, meringues, brownies, shortbread, flans…. I could seriously go on but I must stop as I’m starting to drool! What?? I hear you cry. This traditional french dessert is just to die for and it is relatively simple to make. 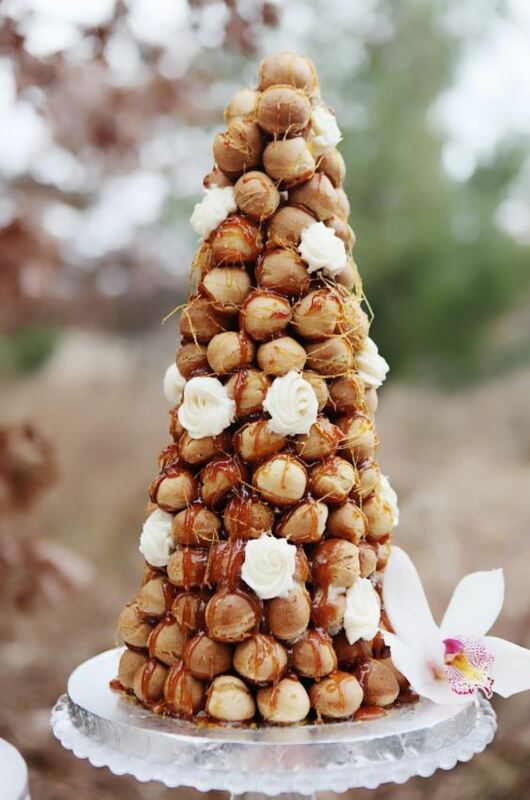 It is essentially a tower of mini profiteroles, or creme filled choux pastry if we are being precise, bound together with threads of caramel. You can cover in lashings of dark chocolate or keep it plain and have pots of dipping sauce for guests to add their own. You can be as lavish as you like with the decoration and the more daring you are the higher the cone! Come on, who doesn’t love ice cream? Whether its mini vanilla cones, tubs of lavish home made flavours or a traditional Mr Whippy van complete with out of tune Just one Cornetto sound-track, you cannot fail to impress with an ice cream offering. On a hot summer’s evening your guests will certainly appreciate the cooling treat. So there you have it folks, nine amazing alternatives to the traditional wedding cake. We’d love to hear your ideas for breaking the mould. What do you plan to serve your guests?